The most complicated part of robotic process automation (RPA) is determining which business processes need it most. Do you start simple, or aim for larger and more complex processes right off the bat? 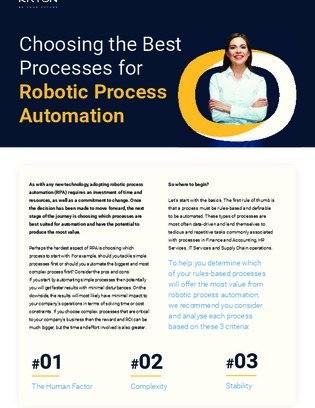 Jump into this guide to learn how to prioritize your rule-based processes for automation based on three key criteria: the human factor, complexity, and stability.